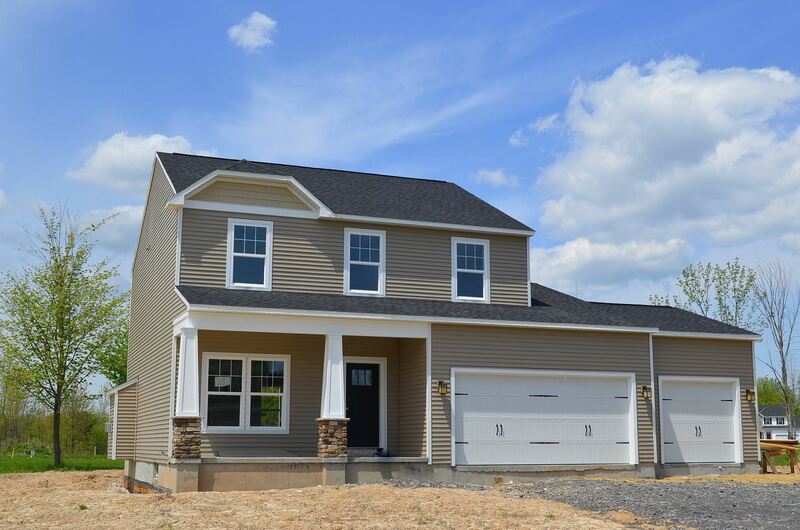 Cornerstone Homes New York, Kildare's Meadow, Brewerton NY - Contact Bob McTague at 315-882-6610 for more information about this home located in Brewerton, New York. New Home Features - Central New York's Premier Builder offering quality craftsmanship at an affordable price. This 4 bedroom, 2.5 bath Colonial is loaded with upgrades throughout. Hardwoods in the foyer, kitchen, and sun room, Gas fireplace in the family room, tile floors in the bathrooms. 3 car garage. Front porch. Elevation "C" Cottage style. 2,080 sq ft of living space. Front living room or dining room. Master bedroom and bath. Call today to take advantage of this great value! This home is ready now!